Bright red, glossy new foliage makes Photinia x fraseri 'Red Robin' hedge plants one of our Best4hedging top 10 species. The mature foliage of Photinia x fraseri 'Red Robin' is dark-green with red tinges and creamy white spring flowers, although this species is primarily grown for its younger foliage colour. The growth of these hedge plants is somewhat loose and gives good movement in the wind. Also Consider: Laurel Etna hedging for attractive bronzed foliage and a more compact, denser form than Photinia x fraseri 'Red Robin'. Photinia x fraseri 'Red Robin' boasts wonderful vibrant red foliage in the spring on new growth, with older foliage showcasing a darker, glossy green that is equally attractive. Make the best of this colourful evergreen hedging by planting Photinia x fraseri 'Red Robin' in a sunny spot, though suited to partial shade, the brightest red colour will emerge in a sunnier position. A Photinia Red Robin hedge is not tightly compact, allowing the foliage to shiver slightly in a breeze and has a looser overall structure than some heavily dense species. The small, creamy white flowers that appear on Photinia hedging in spring are popular with wildlife, as are the berries that come later in the season. A delightful evergreen, Photinia x fraseri 'Red Robin' is ideal for formal or garden hedging as it takes well to trimming and looks just as attractive when left a little bit bushy. Although not very dense, a Photinia Red Robin hedge will still make a good windbreak and can be useful for adding colour and texture to the garden. Photinia x fraseri 'Red Robin' looks wonderful when planted alone, it can provide a colourful feature in any garden without the need for companion plants to add impact. Photinia hedging has an average growth rate of about 30cm a year, making it suitable for maintaining a height of 1m-4m. At Best4hedging, we recommend trimming your Photinia Red Robin hedge in the Spring and/or Summer to give it a formal, neat form; or allow it to bush out slightly and cut back as and when required, simply to keep it under control. Sometimes Photinia x fraseri 'Red Robin' can be prone to leaf drop, in the unlikely event that this occurs, trim back your Photinia Red Robin hedge (not into leafless wood) and apply fertiliser in the spring. Please view our Hedging Care Advice page for further information on pruning Photinia hedging. For information on planting density specific to your Photinia Red Robin hedge, please see the product table below. In the 'No. Per Metre' column, you will find our recommended plant density for each individual plant species and root type. You can find more information about planting density in our advice section. 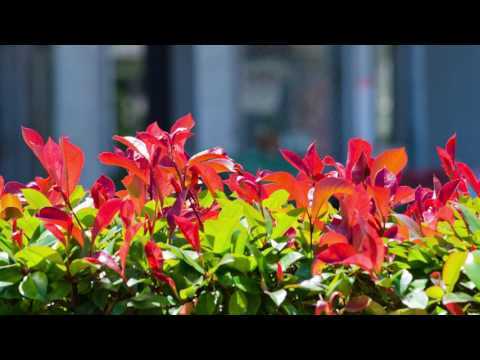 Photinia x fraseri 'Red Robin' is available to purchase from Best4hedging at any time of year; we offer both Cell Grown and Pot Grown Photinia Red Robin hedge plants. The vast majority our Photinia x fraseri 'Red Robin' plants are UK grown by experts with masses of experience, though we occasionally source Photinia hedging from specialist nurseries overseas, where we’re confident that the quality is equal to that of our UK sites. At Best4hedging, we continuously strive to deliver the freshest, highest quality Photinia Red Robin hedge plants whilst keeping our great, competitive prices low, so you can buy Photinia x fraseri 'Red Robin' online with confidence. Great Red Robin's, very pleased with then, thanks.. I have already given my thoughts in previous section.